Most of our staff used to working at reputed rapid test company --ACON/ABON(Alere) including our General Manager, RD VP, marketing VP, Quality Manager and even the product line workers. We will do our best to support you to make more achievement in the market. We will ensure you the consistent quality, stable supply, innovative products and competitive price. We are now having around 200 employee and the total construction area is around 6000sqm. For our Biological reagent team, we have a group of biotech expert including 10 persons with postdoctoral research experiences, 2 with doctor degree and 6 with master degree. This team has strong scientific research and technology innovation ability. Now the company owns over 10 national patents. We use Design control research system to make the early research more efficiency; and take ISO quality management system, establish a high standardized manufacturing quality management system. 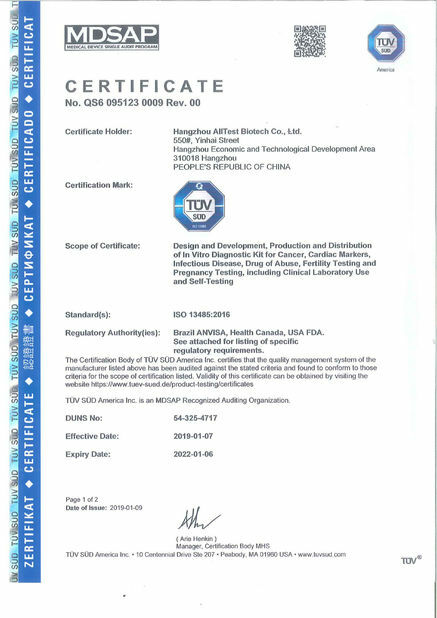 Now the company has one research laboratory, one mouse monoclonal antibody development and research platform, one rabbit polyclonal antibody development and research platform, one goat breeding facility, covering 500, 600, 200, 1000 m2 respectively. 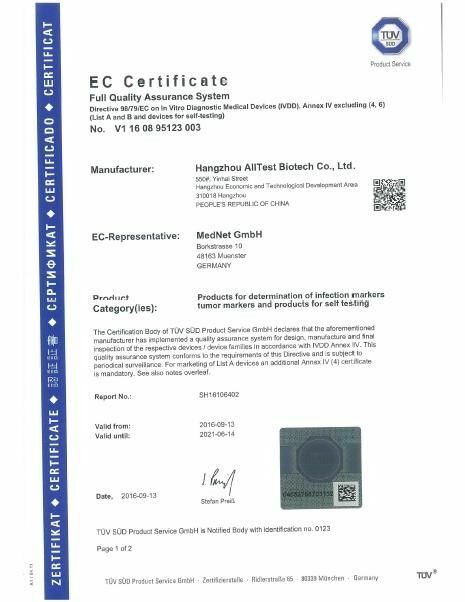 For the Medical consumables, we have state of art manufactory facility with the CE certificate and ISO13485 Certificate. The consumables have been supplied to the worldwide market and received very good market feedback. We have mature know-how, sufficient capacity and professional team to meet your various OEM and ODM requirement. We have a group of biotech expert including 10 persons with postdoctoral research experiences, 2 with doctor degree and 35 with master degree. This team has strong scientific research and technology innovation ability. Now the company owns over 10 national patents. We use Design control research system to make the early research more efficiency; and take ISO quality management system, establish a high standardized manufacturing quality management system. Now the company has one research laboratory, one mouse monoclonal antibody development and research platform, one rabbit polyclonal antibody development and research platform, one goat breeding facility, covering 500, 600, 200, 1000 m2 respectively.